Oliver Heath is a UK based Biophilic Design expert and architect, specialising in sustainable architecture. He’s also a writer and TV presenter who has worked for numerous channels including the BBC, ITV and Channel 4 in the UK and Norway’s TV2. He has written three books on interior design and is a frequent contributor to several national newspapers. 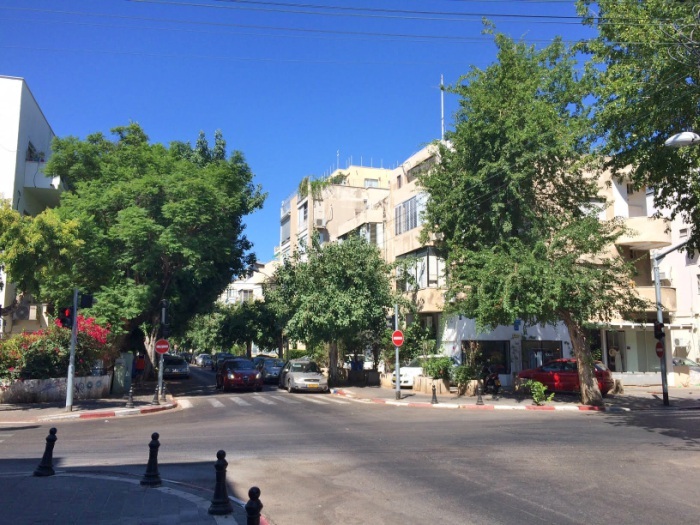 Oliver recently came on a short visit to Israel as a guest speaker at the Annual Conference on Green Building and Smart Cities. And while he was here, I met up with him to talk about biophilia and biophilic design. It was quite apt that we should meet up in Tel Aviv and walk through a park, and along the beachfront, before stopping for a coffee at a cafe situated right on the beach. Oliver lives in Brighton, and he remarked to me that the two cities share some similar features. The main one being that they are both on the coast. But in addition, both have a happy and positive feel. While nature and the close proximity of the sea give them a more relaxed air than many other bustling cities. He likes to spend time at the beach whenever possible and enjoys water sports. He believes it’s important to take advantage of the opportunities of surrounding nature and to get out and about to enjoy it. 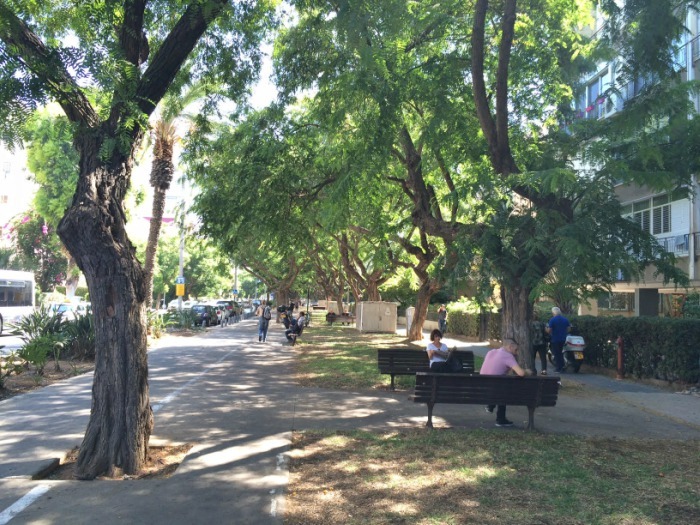 What are your impressions of biophilia within Tel Aviv? Oliver: A breath of fresh air! Having just returned from travelling around the noisy bustling chaotic cities of Southern India I’m delighted to see the extent to which nature had been woven into the fabric of Tel Aviv. It’s a pleasure to hang out on the beach, or in the city or under the shade of a tree or planting scheme at a cafe and watch the world go by. 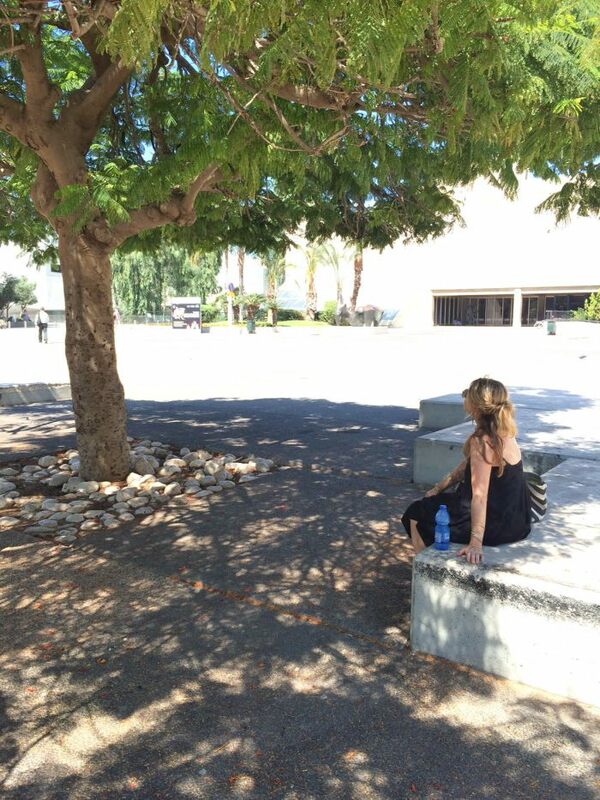 What was the reaction to your talk and your introduction about biophilic design to Israeli architects? Did you get any kind of indication of the ways they’re currently using biophilic design, or plans on how they may integrate it within their designs in the future? Oliver: There was great interest in the workshops and seminars that I presented on Biophilic Design. Whilst many of the architects and designers were familiar with the ideas and patterns of Biophilc Design, it was the overall term and research that underpins the concepts that caught the fascination of many. They recognised how this research, facts and figures could help them to deliver improved services to their clients; allow these clients to improve working conditions for their staff and allow building occupants to experience greater health and well being in the buildings that they live and work in. Benefits for everyone. In my presentations I discussed the findings of the Human Spaces Biophilic Design in the Workplace report, which demonstrates different cultural biophilic aspirations – but equally how universally we all benefit from an improved connection to nature or natural mimics. Do you have any specific tips on integrating biophilic design into the home – taking account of the Mediterranean climate? Oliver: Light is beneficial in many ways: to connect you to the time of day, the season and our circadian rhythms. But it can also be associated with excess thermal gains, so creating shady spaces and reducing solar gain at the hottest parts of the year is beneficial. A great way to do this is by using deciduous plants and trees which will shade spaces with leaves in the summer and allow lower level light to filter into spaces during the winter. In this way we get the beneficial visual and physiological quality of the greenery as well as the cooling effect. Introducing small water features not only helps to create a soft gentle acoustic backdrop to your home, as we know from traditional middle eastern architecture it can also help to cool spaces through the introduction of water. But where we can’t introduce direct forms of nature then creating mindful spaces through the use of natural materials, textures, patterns and colours can benefit the interiors of homes. This could be as simple as a naturally patterned wall paper, fabric or floor covering to introducing calming timber wall panels – great for creating a cosy little corner to retreat into after an long hard day.